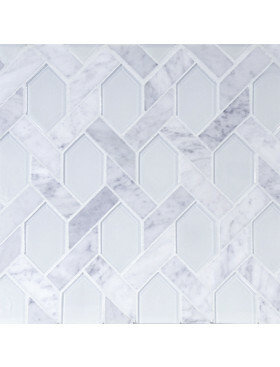 Spectacular Carrara marble and white glass mosaic from the Tile District in an updated elongated hexagon pattern called Montage. 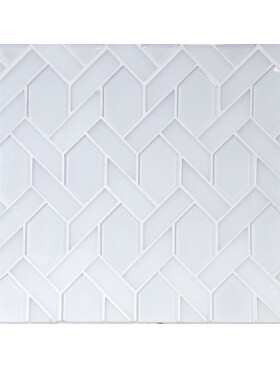 Buy at Tango Tile. 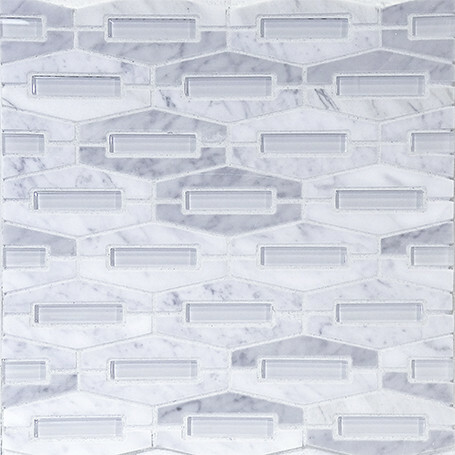 Montage-Elongated Hexagon in Carrara Marble with Super White Glass Insert 12" x 12"
The Montage design is a perfect balance between an exciting new hexagonal shape in classic Carrara marble and beautiful white glass. 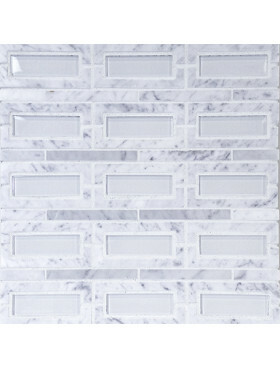 All the natural beauty of Carrara marble combines with the elegance of crystal white glass in this collection of distinctive decorative wall tiles. 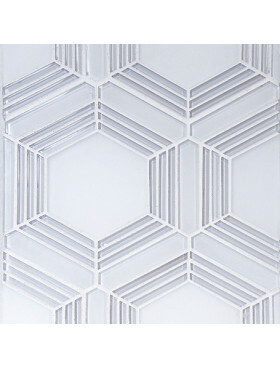 The shapes are fresh and exciting yet still classic and clean. 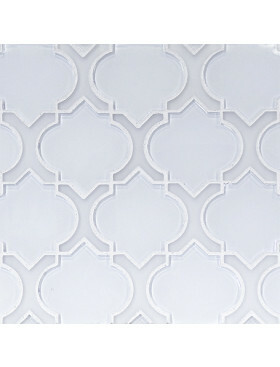 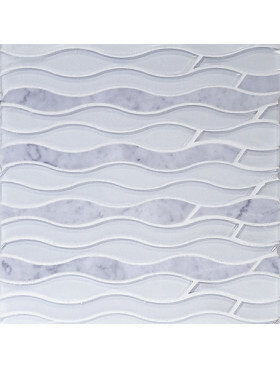 For all the white-lovers out there, we have the perfect tile for you! 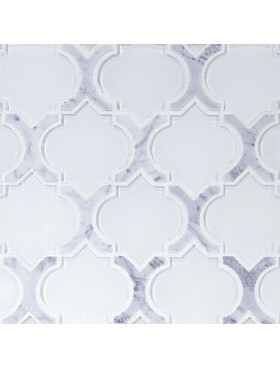 Tango is pleased to offer this amazing collection; we hope you love it as much as we do. 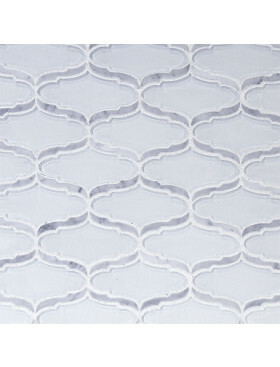 12 4/5" x 14 1/5"